To see the Etta Mine on Google Earth, please click here. The Etta mine near Keystone in the Black Hills began operations in 1883 as a mica mine. 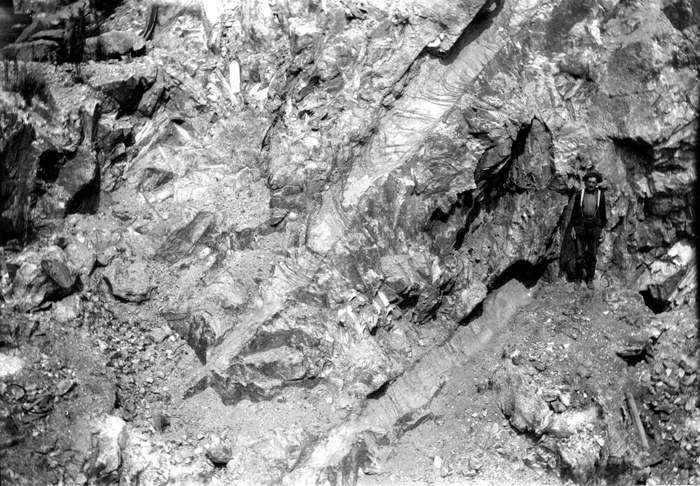 Accompanying "black ore" turned out to be rich tin ore, triggering a tin rush in the surrounding Black Hills, which resulted in the claiming of several other mines in the vicinity. However no substantial tin ore bodies were discovered and most mines were abandoned soon. In the Etta however the tin boom at least proved the existence of large quantities of lithium ores in form of large spodumene crystals, which were mined separately since 1898. Today the abandoned Etta mine, with its gaping open pit, is still a spectacular sight and large spodumene crystals can be spotted at the steep rock walls. However the mine is on private property and visitors are generally not greeted with a warm welcome. Though this may change, as the Etta mine was up for sale recently. 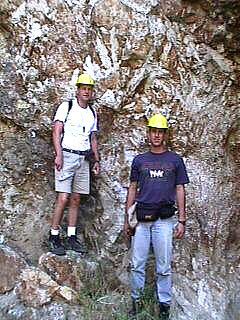 For more information on the mineral spodumene please look at www.mindat.org, Webmineral and the german Mineralienatlas. - Another locality with giant spodumene crystals is the nearby Tin Mountain quarry, where a 10 m large spodumene crystal was discovered. - A further well known north american spodumene locality is the Harding mine in New Mexico, where a multitude of up to 5 m long crisscrossing spodumene crystals in the pit walls are still acessible today. For more information click here. 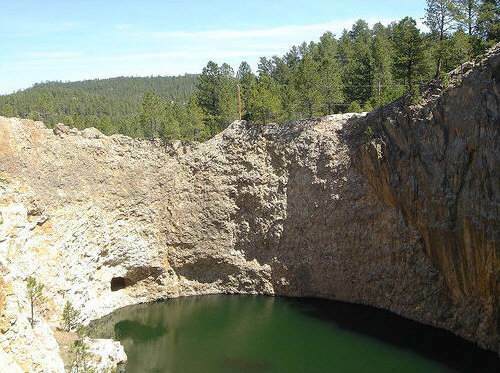 The Etta mine and many other pegmatite mines in the Black Hills have raised geological interest since a long time and today they constitute one of the classic geological field trip areas for many geological departments in the US. Therefore there is a vast literature available about this area, which is probably one of the best documented 'giant crystal areas' worldwide. Blake, W. P. (1884) Transactions of the American Institute of Mining Engineers Vol. XIII: “Tin Ore Veins of the Black Hills”. Guiteras, J. R. (1940) Mining of feldspar and associated minerals in the southern Black Hills of South Dakota. 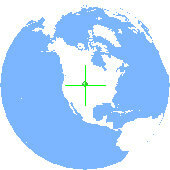 United States Department of Interior, Bureau of Mines, IC 7112. Landes, K. L. (1928) Sequence of Mineralization in the Keystone, South Dakota pegmatites. American Mineralogist v. 13, p. 519. Lincoln, F. C. (1927) Pegmatite mining in the Black Hills. Engineering and Mining Journal v. 123, n. 25. Roberts, W. L., and G. Rapp Jr. (1965) Mineralogy of the Black Hills. South Dakota School of Mines bulletin 18. Ziegler, V. (1914) The minerals of the Black Hills. South Dakota School of Mines bulletin 10.